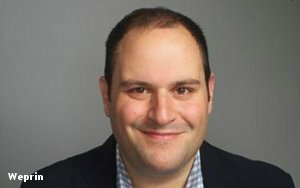 Expert media journalist Alex Weprin has joined MediaPost at editor of Digital News Daily. Weprin, who most recently was senior editor at Politico, has more than a decade of experience covering media, including editing and reporting roles at Mediabistro, Reed Business Information and NBC. At MediaPost, Weprin will be responsible for overseeing the daily mix of digital media industry news, features and commentary. He will also serve as our lead writer covering video, OTT and advanced TV platforms. 3 comments about "Alex Weprin Joins 'MediaPost' As Editor, 'Digital News Daily'". Alison Hill from CurrentPR, October 13, 2017 at 5:27 p.m.
Tyler Loechner from Pixalate, October 13, 2017 at 7:37 p.m.
Congrats, Alex! Happy to see RTM Daily/Real-Time Daily/Digital News Daily land in good hands. pj bednarski from MediaPost.com, October 13, 2017 at 9:19 p.m.
Great news, Alex! You're just right for the job.